Slim fit with straight silhouette. Wool blend fabrication with iconic Burberry® plaid detailing. Rib knit with lined construction. Body: 79% wool, 21% cashmere. Cuff and Hem: 88% wool, 7% cashmere, 4% polyamide, 1% elastane. 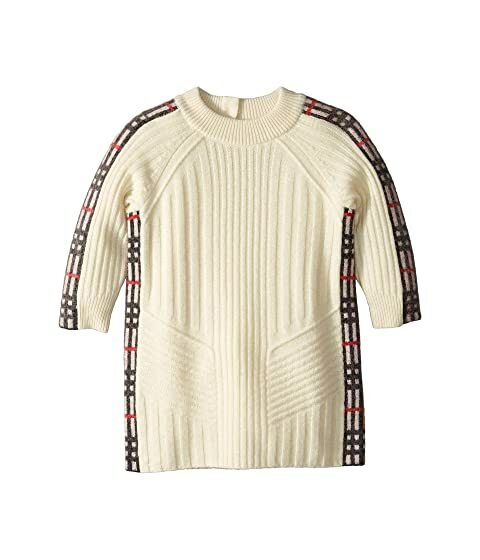 We can't currently find any similar items for the Mini Cathina (Infant/Toddler) by Burberry Kids. Sorry!